Drug addiction is a complex and chronic disease that calls for systematic and elaborate methods of treatment. Drug addiction is a complex and chronic disease that calls for systematic and elaborate methods of treatment. Physically, it manifests in the body’s dependence on a drug, strong cravings for a chemical that stimulates the reward system and changes the way a person’s brain reacts to internal and external stimuli. With appropriate medication that eases the most severe withdrawal symptoms and helps the brain readjust to its normal state, patients can successfully quit using only to relapse in the following few months. The short-term nature of physical withdrawal can be compared to fever during an infection: although lowering the temperature can sometimes save a patient’s life, this symptom will keep returning until the underlying problem is resolved. When it comes to drug abuse, these underlying issues tend to vary greatly. A commonality that nearly all addicted people share, however, is a psychological disturbance. Various mental health conditions can lead a person to start using, while others arise from the troubles brought by addiction as such. In order to reach long-standing recovery, it’s crucial to identify them and provide guidance to help people work through the problems that prevent them from quitting drugs and moving towards a healthy lifestyle. Dealing with psychological issues while treating drug addiction is the main focus of dual diagnosis treatment facilities (read more here). Such centers rightfully treat their patients’ mental state as an essential part of their addiction and compose treatment plans with regard for it. Psychological problems that result in the development of drug addiction can be generally divided into two categories. Severe diseases like schizophrenia, PTSD and bipolar disorder may lead a person suffering from them to start using drugs in order to find relief. When it comes to a mental illness that significantly impacts the patient’s well-being, treating or managing it along the addiction is likely to bring more benefits than attacking drug abuse alone. Others, like mild depression, anxiety, and fear, might be emotional indicators of a larger problem. In this case, it’s important to discover what caused the person to feel distressed and find ways to resolve it. Two of the most common mental conditions that accompany drug addiction are depression and anxiety. Severe depression can be crippling. A person can feel physically incapable of getting out of bed in the morning, eating, sleeping and attending to their basic needs. In cases when getting professional psychiatric help is not possible, or when a person doesn’t wish to disclose their depression to anyone, self-medication is a frequent occurrence. While some people begin abusing relatively innocent caffeine, others turn to stimulants like cocaine and prescription medications to stay awake and functional. When depression inflicts insomnia, sleeping pills might be abused in place of stimulants. 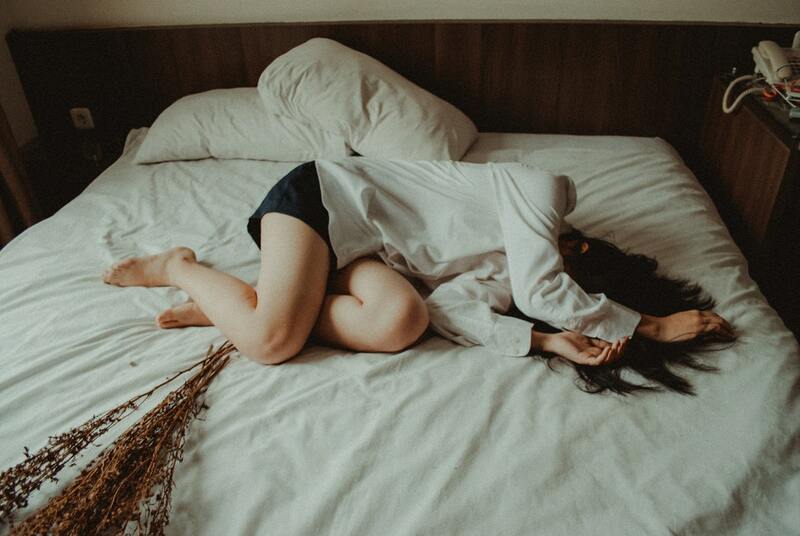 Anxiety, on the other hand, requires soothing effects of opioid drugs like heroin and prescription pain relievers, as well as benzodiazepines like Valium and Xanax to escape reality, relax and finally find peace for a little while. Anxiety can be a symptom of other disorders, for instance, PTSD, or it can act as illness itself. In case of the former, the mission of dual diagnosis rehab is to help a person find and deal with the traumatic events, memories, and experiences that caused anxiety and subsequently led to the development of drug addiction. Rehab at dual diagnosis facilities begins with detoxification. No progress can be made until drugs are completely removed from a person’s system, and the body begins to heal from the harmful impact. Detox can be extremely hard and physically stressful. Withdrawal symptoms of many drugs include insomnia, deterioration of mental state, flu-like symptoms, nausea, and headaches. In some special cases, like certain stimulants abuse, the withdrawal must be handled carefully under medical supervision due to health risks associated with rapid quitting. Once detoxification is completed, various therapies are applied to help patients tackle the other part of the problem. Treatment for persons with co-occurring mental disorders presents significant challenges. It’s often difficult to distinguish between conditions that triggered the addiction and troubles brought by it. Therefore, patients’ cooperation and honesty are essential to successful recovery. Clinicians realize that comfort, safety, support, and trust must be established in order to reach the level of understanding when people are able to start discussing their issues and become open to a therapist’s suggestions. Dual diagnosis rehab centers combine cognitive behavioral therapy, group and individual therapy, addiction medications and pharmacological treatment for mental disorders when it’s applicable to account for every aspect of the problem. This complex approach is their main advantage over conventional drug addiction treatment facilities. Regaining social connections, a person’s own will to recover and interests in hobbies, aspirations, and life, in general, is incredibly important. Effective treatment attends to the needs that extend beyond an individual’s abuse. It ensures that a person will strive to improve even after leaving the rehab facility and reduces the risk of relapse. To achieve this, inpatient dual diagnosis treatment facilities sometimes incorporate holistic methods into their programs. While there isn’t any conclusive research about the benefits of holistic therapies, they are known to make a person more receptive to treatment in general. Holistic rehab is complementary to traditional treatment and can be used to ease the symptoms of both drug addiction and mental illness. Its methods are derived from cultural practices and traditions that aim to bring a person a sense of peace and motivation. Basically, holistic methods are simply extensions of a healthy and active lifestyle, applied together to achieve greater results. They usually include nutritional therapy to help patients combat the effects of self-neglect and malnutrition, exercise, massage, and meditation. Meditation, in particular, is often used to achieve a calm state of mind, work through some mental issues, fight depression, reduce stress and improve attention. This approach is certainly logical. Drug abuse, after all, is rarely about drugs; it’s about life hardships, traumas and overwhelming feelings of distress that drive people to seek relief where it’s so readily available. Tackling the psychological issues, both leading to and resulting from the addiction, is, therefore, a step that should never be overlooked.